With the Samsung Galaxy S6 edge storming out of the gates, we'll take a look at how a last year's flagship smartphone - the HTC One M8 - compares to a product that's been through a year of innovation after the M8's MWC 2014 announcement. 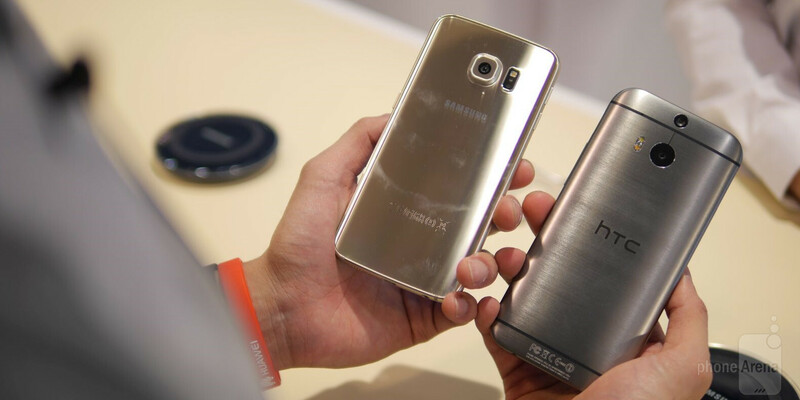 The Galaxy S6 edge is unusually design-conscious for a Galaxy phone: it’s slim, lightweight, and made of premium materials (metal for the frame and glass on both front and back). With these build qualities of its, the Galaxy S6 edge stands up mighty fine to the HTC One (M8), which we think is 2014's handsomest Android smartphone. Speaking of the devil, he comes fully clad in shiny gun metal-grey aluminum, which makes it a tad bulkier and heavier than Samsung's crowd pleaser. 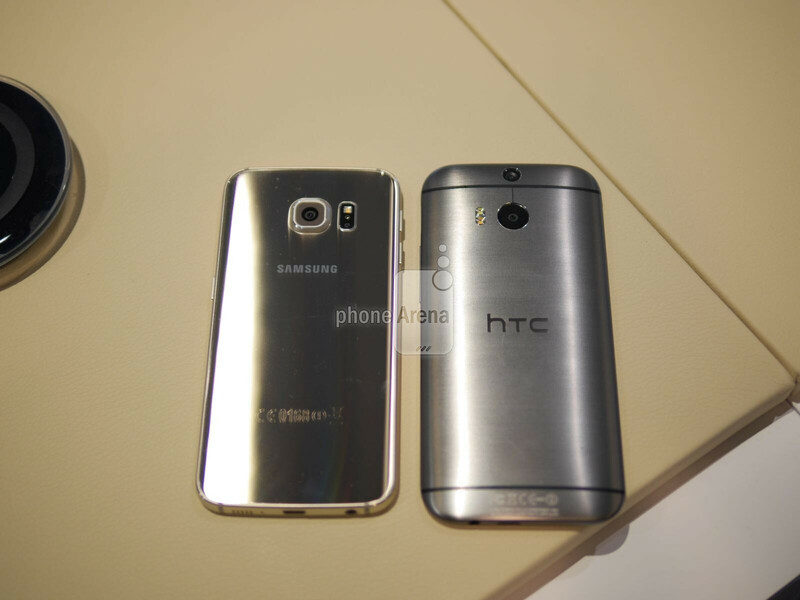 But for all its design qualities, the HTC One (M8) can be unwieldy due to its tall, slippery metal body. 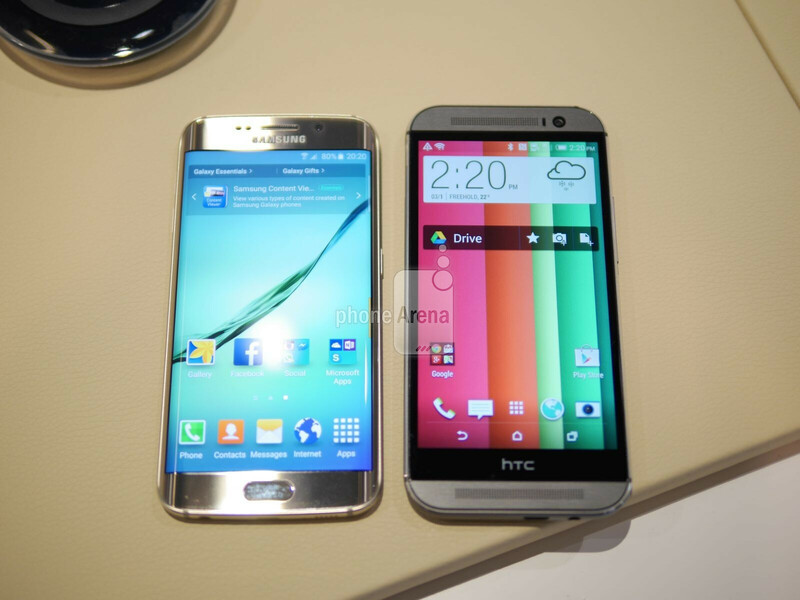 As you can clearly see, the Galaxy S6 edge lacks those front-firing stereo speakers drilled on the HTC One (M8)'s upper and bottom bezels. But Samsung's flagship has thinner, more refined bezels, and gives a better overall look at the smartphone's centerpiece - the display. 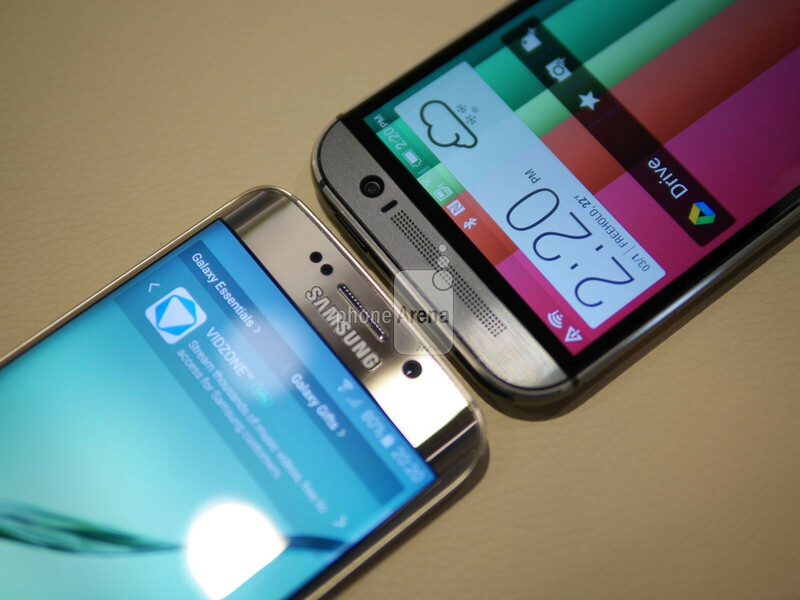 With a 5.1-inch curved AMOLED screen with a 1440 x 2560-pixel (Quad HD) resolution walking the front of the parade, the Galaxy S6 edge could realistically grab the mobile display crown of 2015. Not only is this screen impeccably sharp, but Samsung has improved the brightness levels too, with the screen reportedly reaching up to 600 nits! Meanwhile, HTC Sense, which runs on the One (M8), is a very streamlined, sleek user interface that's quite tight in all departments - visual, usability, apps and software features. It's a very focused, cleverly thought out experience that manages to please the eye without getting in the way of usability. As for the HTC One M8, it's still a very sporty smartphone with its Snapdragon 801 processor and 2GB of LPDDR3 RAM that's just as capable as running the latest graphically-intensive games or browsing content-rich websites. Both the S6 and the One M8 come with 32GB of memory in their base models, storage-wise, but the Galaxy S6 edge has the advantage of really fast UFS 2.0 memory, whose read and write speeds are through the roof - better than any smartphone right now! If you are researching the HTC One M8 in 2015, this means you're after a last year flagship that looks great and performs very well in all major departments compared to the Galaxy S6 edge, with the exception of camera. With the price cut that should follow after the HTC One M9's announcement, the One (M8) will be more attractive than ever before, if you are willing to live with its imperfections - the slippery surface and the 4-megapixel photos. Did you even read the names of the phones? 1TopSpy is one of the striking smart phones tracking and monitoring software available now in the market of Spyware Applications for htc phone. It brings the most improved updates about superior means of staying on track about required information and activities your children and loved ones are joined with. Here is a closer look about its special features. This sort of application enables owners to have the greatest peace of mind since it delivers nothing but the truth about what exactly is going on with your target's mobile device.